Posted by Hillary Zhang on 1/10/2019 3:08:59 PM. 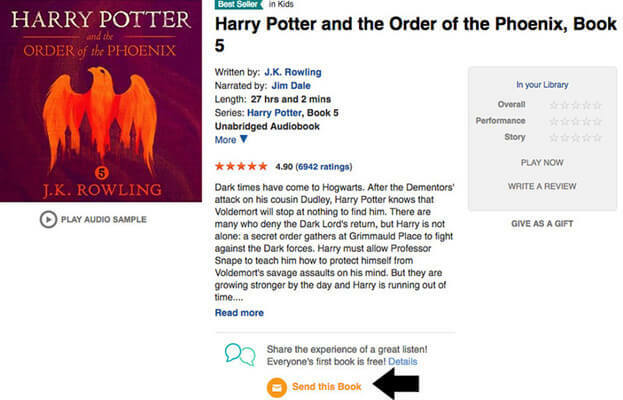 Isn't that so amazing if you can share your Audible books with your friends for free? Thanks to Amazon's Household service and Audible App Send This Book function and Audible Converter which make share Audible books happen. So in this article I am going to elaborate 3 methods to share Audible books with friends. Bonus tip: Are you interested in sharing Kindle book? Just read 6 Methods to Share Kindle Books with Friends and Family. 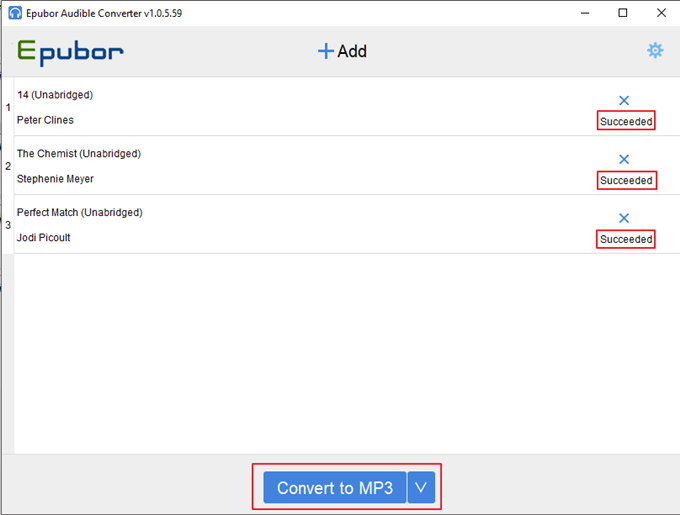 Epubor Audible Converter is the best Audibe DRM Removal as well as AAX to MP3 converter to remove DRM and convert protected audiobooks from Audible. Thus you can share any of you audible book with anyone and listen to them wherever you like with absolutely no restriction. But this is a paid software. But you can try the 30 days free trial. Second,tap Add button on the top of the interface and it will pop out a window with all of your downloaded audible books, then you can add all the books to Audible converter. All of the books will be decrypted within a short time. Note: The AA Audible book is actually encrypted mp3 file, and the AAX Audible book is encrypted m4b file. So the decrypted AA file will be in mp3 format and the decrypted AAX file will be in m4b format. Third, choose MP3 as the output format, then click Convert to MP3 and you will get the DRM-free audiobooks. Then you can share them with any of your friends. Most importantly, you can listen MP3 format audiobook on any app or device. 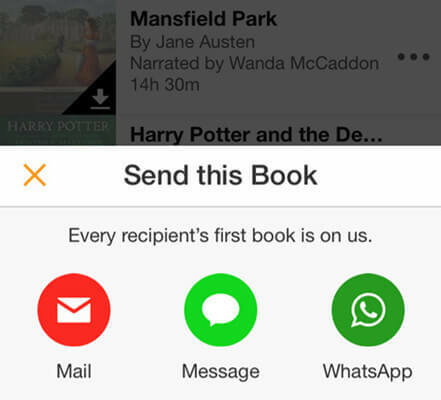 Through the Send this Book function you can send the audiobooks in your library to friends and family. Each person shall be entitled to redeem only one free audiobook recommendation through this program. After redeeming one free audiobook, recipients must purchase or use a credit to redeem any additional audiobook recommendations. 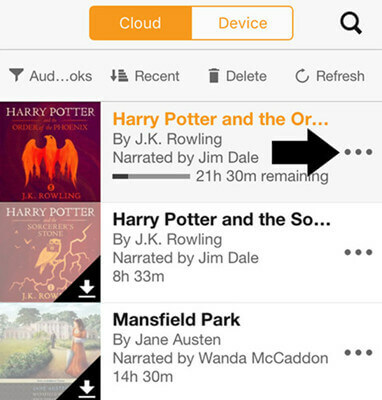 First, download an Audible app and log in with your Audible account. Second, tap My Library and all your audible books are listed there, then tap the triple dots on the right of the book and it will pop out an option window. Third, tap on the Send this Book option. Fourth, choose how you want to share this audible book and who you want to share it with. First, log in your audible's account on the web and go to Library and select My Book. 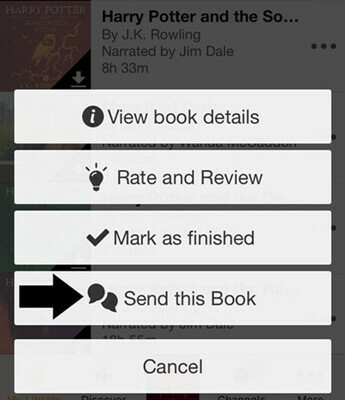 Second, open any audible book on your library and tap on the Send this Book option. Third, fill out the Send this Book form with an email address (separate multiple email addresses with commas) and tap the Send button. Note: both ways are very easy to operate. But there are still some restrictions, like you can only share a free audible book with your friends. Amazon Household is a feature that allows you to share your Amazon/Audible content and your payment methods with another Amazon account, while still maintaining your own account's security and privacy. Up to four children. Child profiles are created as part of an adult's account. 1. Go to Manage Your Content and Devices and sign in to your account. 2. From the Preferences tab, select Households and Family Library. Next select Add Adult under Households and Family Library. 3. Have the other adult sign in to their Amazon account. Note: An Amazon account can only be shared with 1 other account at a given time. If you leave a Household you will have to wait six months to join a new one. 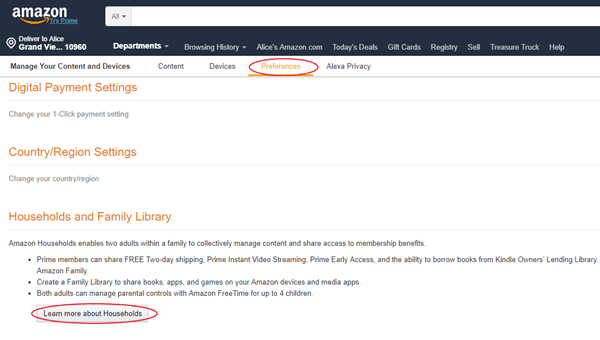 You can start sharing content after setting up your Amazon Household and enabling Family Library. Then both of your selected contents will be shared with each other. Once you've set up Family Library, you and the other adult in your Amazon Household will be able to see any shared Kindle books, apps, and audiobooks in the Cloud or Archived Items tab on any of the compatible Amazon devices and Kindle reading apps registered to your Amazon accounts. 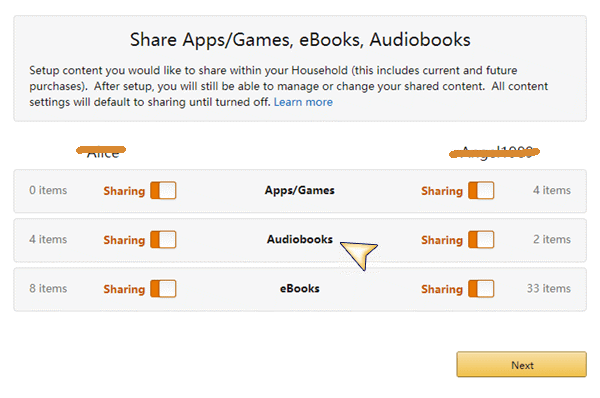 You can access content shared through Family Library on many Amazon devices and Kindle reading apps, though you may need to enable your device to view shared content from Manage Your Content and Devices or the Family Library settings on a compatible device first. Isn't this Audible converter the best tool to share Audible books with friends with no restrictions? 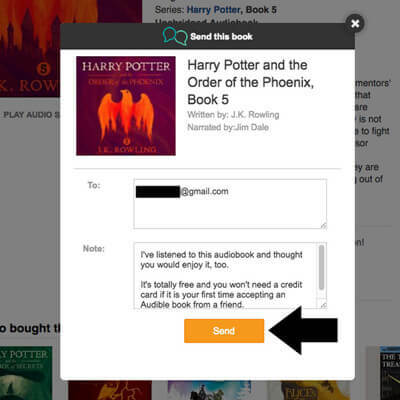 With Audible app, you can only share one free audible books with your friends. 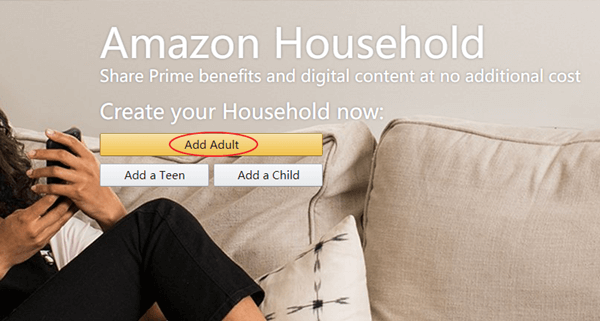 And with Amazon Household sharing, you can only share any of your contents with one adult friend at a given time. If you leave a Household you will have to wait six months to join a new one. All these inconvenience waste consumers a lot of time and make all the process more complicated. However, with Audible converter, you can convert the audible book's format and strip its DRM at the same time, then you can listen to all your audible books anywhere and share them with any of your friends. It totally ups to you. Isn't this super cool? What are you waiting for? Just try the free trial now.